Back when I was a kid we were poor, living in an old victorian 2 up 2 down, outside toilet mill terraced house in central Belfast. This wasnt in the dark ages but mid to late 70s. A classic memory I have is of my dad pushing me across the flooded backyard in our plastic bath holding a candle to get me to the toilet. Ahhh memories…Anyway I did have a point, back then every day we had meat, potatoes and some sort of tinned veg like peas or carrots or beans. The potatoes came from St Georges Market in Belfast and the meat came from the local butchers at the top of the street (Slate Street in the lower Falls and our butcher was Raymond). He would let us watch him make the mince and make the sausages, yes make the sausages. Every day we went in myself and my wee sister would watch them grind real meat into the sausage machine and it would ooze out into the sausage skins and they would twist them into links. Somewhere in the last 20-30 years that seems to have been lost, like most in their mid to late thirties I’m putting on the beef which euphemistically means fat or getting overweight. Having watched all the scary programmes on TV about what goes in, or what doesnt go in to our processed supermarket foods I though it was time to see if the lethargy, sore joints, headaches, getting fat were products of old age or diet. A few months ago BBC Northern Ireland showed a series of programmes in the Northern Exposure series featuring Gary Lineker and his missus. Now due to the Radharc Images project these interested me and one of the places they visited was Forthill Farm down near Tandragee in Co. Armagh. 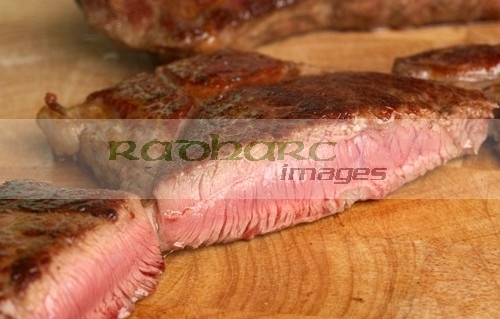 Its only the past couple of weeks Ive had the chance to get down and get some of the meat there. I’ll not go into all the details but you can read them for yourselves at the link above. I got some chump steak and some of their pork sausages as well as loads of other good stuff (venison sausages I havent tried yet). First impressions were good, the sausages, steak and bacon were all the same size after they were cooked as they were before. 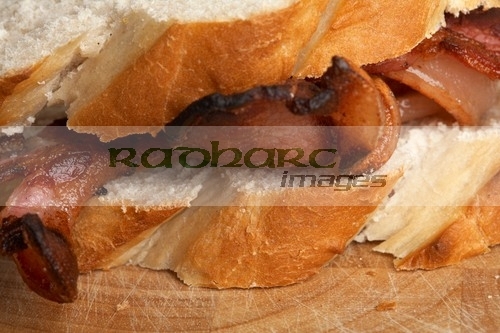 That led to problems with putting a packet of bacon on for a series of bacon butties, one slice of bacon did one butty whereas it usually takes 2 or 3 slices from supermarket packets to do the same. That counters the idea that good food is more expensive. Yes on a like for like basis it is but you need less of it and it sure tastes a hell of a lot better than the supermarket stuff. Now this isnt necessarily an advert for Forthill, I’ve only been there once and I’ll be back in to stock up the next time I’m passing (or in the last case, passing within 20 miles). Its funny though you mention one place to people and you get the names of other places people go to such as jacksons in ballynure (where I get all my big bbq stuff) and O’Dohertys in Enniskillen where I’ll call in the next time I’m heading to Castlebar. So find out where your local good butchers is and give them a go. So as the well used internet saying goes ‘This post is nothing without pictures’. Which gives me the excuse to include this sort of post in my blog. If you are vegetarian, look away now.